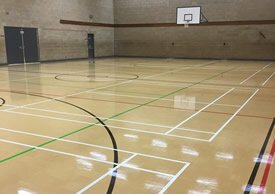 We were contracted to refurbish the Maple floor in the school hall. 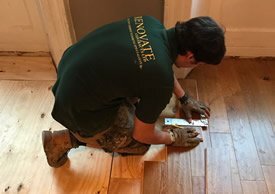 We repaired the floor where the sections were missing and where oak had been used instead of maple. We then fully sanded the floor filled any gaps and applied 4 coats of Junckers Hp commercial.